If the shoe fits, you can make it into a dance shoe. 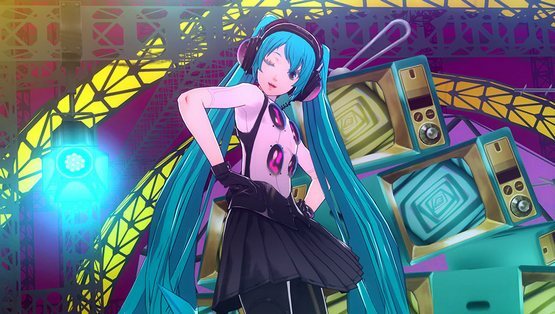 Atlus took the Persona universe into Hatsune Miku’s genre with Persona 4: Dancing All Night (released in June in Japan, coming fall 2015 in North America), and now the connections are more obvious than ever. In mid August — specific date not yet announced — gaming’s queen diva will step onto the stage in Persona 4: Dancing All Night as a DLC character. This game won’t be out in North America until the fall, but we totally already have a review up.